If listening is more your thing, there's also a podcast. Another poem, also available online, appeared in issue 2.3 of Mythic Delirium, which you can read here. 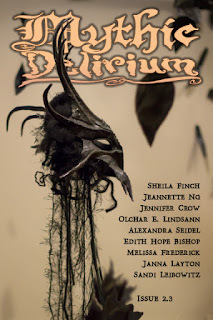 And if fiction is more your thing, I've got some stories in anthologies. 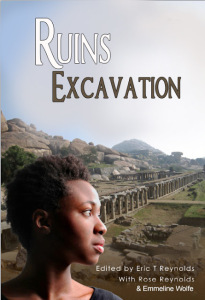 There's "Cover Her Ghost in a Feathered Cape" in Ruins Excavations from Hadley Rille Books, which you can find on Amazon here. And if you want something even spookier than ghosts, there's "Wandering Swallows" in the Triangulations: Lost Voices anthology here. ETA: Also also, because I'm forgetful, I didn't mention the Angels of the Meanwhile anthology, which you can check out here. All proceeds go to help my friend Elizabeth McClellan through some tough times, and there are a whole bunch of fabulous authors featured!